For the last three decades Sanford Stein has consistently and correctly predicted consumer trends while advising some of this country’s leading brands and lived to talk about it; to audiences on three continents. 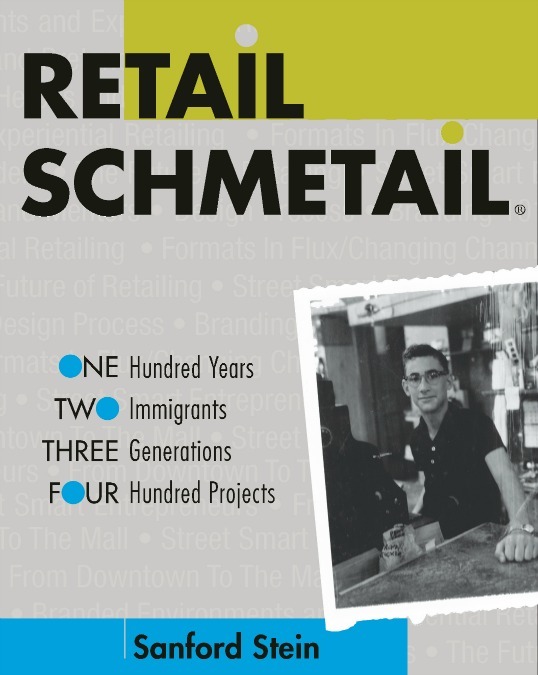 With the Q1 2014 publication of RETAIL SCHMETAIL™ ONE Hundred Years, TWO Immigrants, THREE Generations, FOUR Hundred Projects, Sandy shares the story’s, and lessons learned from some of this country’s premier retailers and agents of change. Mr. Stein’s diverse national and international audiences have included GlobalShop 2011, Las Vegas; National Retail Federation Annual Convention & Expo, NY; National Retailers Association of Mexico, Mexico City;1st Latin-American Congress for Fashion Developers, Rio de Janeiro; Congress on Trends in Retail, Amsterdam; ABEMD n Brazilian Direct Marketing Association, Sao Paulo; Design Futures Council, Aspen; and many more. Excerpts of Mr. Stein's addresses have appeared in such diverse publications as Metropolis, The Seattle Times, Kansas City Star, Minneapolis StarTribune, Women's Wear Daily's and Crain's Chicago Business. Since its inception in 1981, STEIN, LLC has been an industry leader in creating unique and highly effective branded environments, while focusing on the ever-changing world of retail trending, branding and design. The firm has been responsible for over 400 retail projects ranging from regional and national prototypes, to niche concepts and store-in-store branded shops. STEIN's client list includes such diverse names as: Anderson Renewal, Carlson Wagonlit Travel, Brunswick Billiards, General Growth Properties, Hunter Douglas, Levolor, Life Fitness, Mall of America, TaylorMade Golf, Red Wing Shoes, ShopNBC, and Target to name just a few. Sanford has written or contributed to over 70 articles appearing in a variety of publications, including: Interior Design, Interiors, Visual Merchandising and Store Design, Retail Store Image, World's Best Store Designs, and Retail Reporting's Stores of the Year. RETAIL SCHMETAIL® is a thorough and slightly irreverent examination of retailing in America over the last 100 years. Identical twin brothers, Al and Lou Stein, like many vets returning from the big war, set up shop in downtown Milwaukee in a space more closely resembling a neighborhood garage sale than a bona fide retail operation. While neither of these two ‘from the gut’ marketing guys, had a high school diploma, they more than compensated with their ingenuity, drive, and legendary sense of humor. As Al’s oldest son, Sandy spent countless hours at ‘the store’ observing the Twin’s antics in this petri dish of midcentury consumerism. He was also being primed for a career in retail design and consumer trending; which would ultimately provide ample opportunity to share lessons learned at Jewelry & Toy Center (circa 1960) with clients and audiences on three continents. RETAIL SCHMETAIL® examines the icons, agents of change, and creators of brands in every category; the men and women who over the last century influenced what we bought and why we bought it. The book takes a very objective look at how the fundamentals of branding and design have influenced our decision making, as well as deconstructing the nature of what makes a great customer experience. The book lifts the vale on the many ‘behind the scenes’ psychological, emotional and design constructs that separates “defining brands” from also-rans. It also takes an in-depth look at how technology has led to both unprecedented industry disruption, as well as sowing the seeds for its ‘virtual’ reinvention. 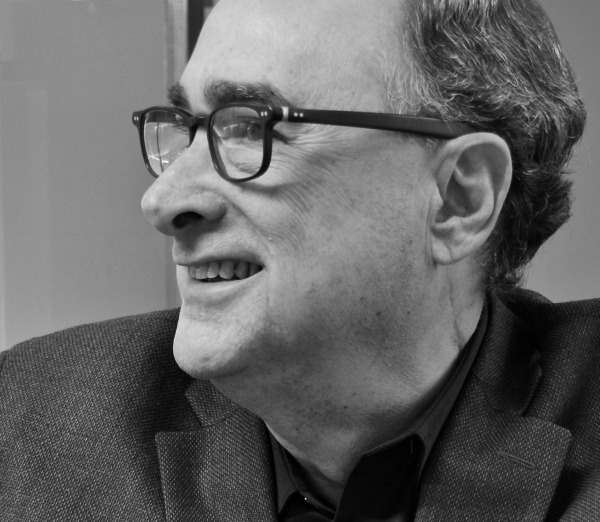 Sanford shares stories about his notable clients, and mentors who have played leading roles in his 40 plus year career in retail planning, trend forecasting and design. RETAIL SCHMETAIL® will be available in January 2014.